This weekend Jane and I stayed with my parents. They bought her a red car to drive around the living room, and she got very sassy with me. 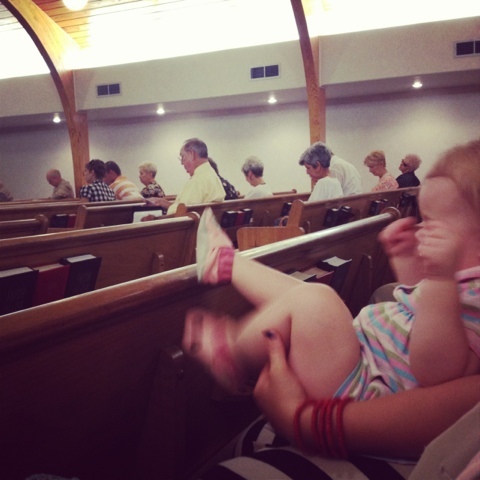 It was all hands on deck in church, as you can see. All that attention from doting grandparents makes Jane a prissy, slightly ‘tudey girl. Mom said I was the same way. Then we got an offer on our house. And a little bit panicked. The future is wide open, it seems. If this all goes through, we will be out on the streets next month.